Raw and Vegan, you'll never go back to the calorie laden old school style soup. Separate crowns of broccoli from stem. Set crowns aside. Chen stems and put into soup pot with potatoes, onion, and peeled garlic cloves. Cover with water and cook until soft. Put cooked veggies into blender and puree. 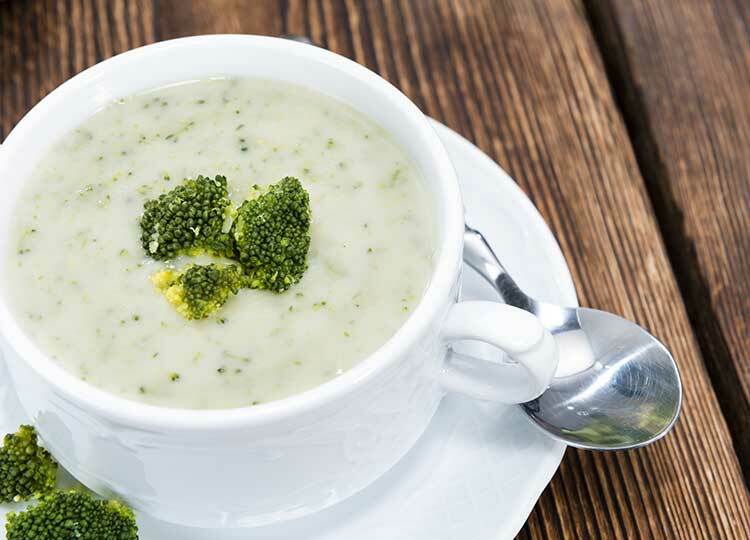 Return to pot with finely chopped broccoli crowns and add the remaining ingredients. Cook on low until broccoli is tender.